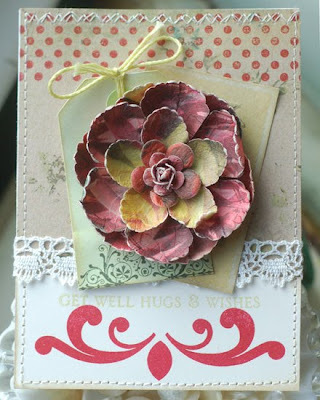 The prima flower on your first card is gorgeous! As for songs, what about Butterfly Kisses (I can't remember who sings it) or Sunrise, Sunset from Fiddler on the Roof. That one will be WAY on the sentimental side. Butterfly Kisses by Bob Carlisle is the first song that came to my mind as well. I just wanted to say I love your blog. I have been following it for a long time now. As for the songs, the first one I thought of was a favorite of my husbands. It is "Just the Two of Us" by Will Smith. hmmm...I am afraid I do not have any good songs for you. I do have to say that your projects are as stunning as always! Merry Christmas! 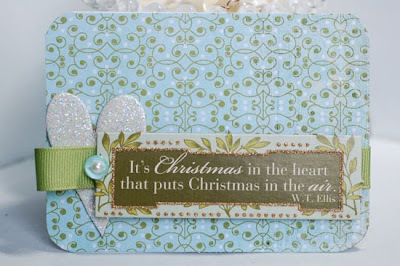 Gorgeous cards, Anabelle. Love your use of Big & Bold Wishes. That set is on its way to me. Can't wait to play with it. Unfortunately I can't think of any songs right now. How about "The Times of your Life" by Paul Anka? I believe that's the name and singer anyway (I'm aging myself as I think Kodak used it for a theme song years ago). Neil Sedaka has recently put out a CD "remaking" some of his tunes for kids. "Lunch will Keep Us Together" is one of my faves. My son loves it!!! 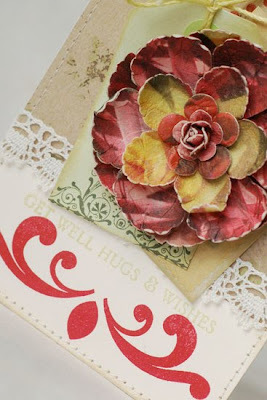 Love your Blog, hope i will have some time soon to upgrade mine as well :)Woooow, so beautiful! Thank you so much for sharing beautiful book and poem with us. I can tell that you are such a sweet person as your beautiful work.I can't wait to see the next work of you!What an inspiration. This is such a great idea. I'll be keeping a close eye on your blog and looking forward to each new post.